Provide comfort for the family of Gladys Vassallo with a meaningful gesture of sympathy. 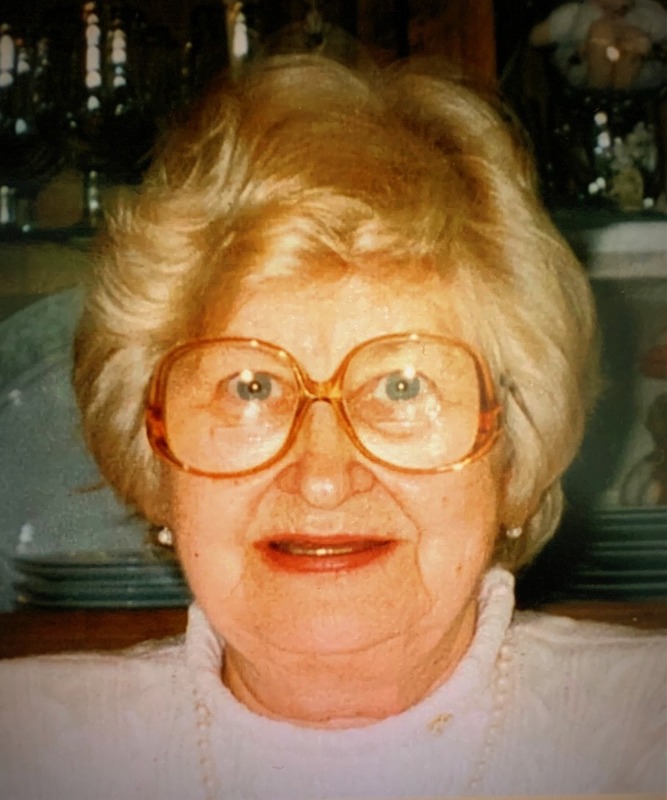 GLADYS J. VASSALLO died peacefully in her home on April 2, 2019 in Philadelphia, Pa. where she lived in her later years with her daughter Judy. She was 99, born May 21, 1919 to Joseph and Kate Stopa (nee Witek), Holyoke, Mass. She married Charles Vassallo in 1936 and lived happily with him in Enfield for the next 48 years until he died in 1984. She is survived by her daughter Judy, sister Millie Stopa, Chicopee, Ma; brother Irwin Stopa, Bradenton, Fl. nieces Diane Kozak, Sheila Pelczarski, Christine Sullivan, Rose Cormier, Lillian Fitzgerald, Jean Cienaski, godchild Liz Patria, nephews Michael and Gary Stopa. Provide comfort for the family of Gladys Vassallo by sending flowers. Liked by all, no one knows why she veered off the road toward eternity. Judy, Not only Mom’s best friend, Gladys was more like a member of our family group. She was almost always with us for holidays, birthdays, and other special occasions. We had many good times together. My thoughts and prayers are with you. May she rest in peace. Dear Judy, Your mother was a gift to all of us. While we were blessed to have Gladys for 99 years - it never seems long enough. Gladys was a very special lady- a hard worker who was loyal and dedicated to her family and friends. She filled our hearts with beauty, joy, and grace. We have so many wonderful memories- her love of baking especially her babka and manicotti, her love of shopping for shoes, her love of reading and visiting the library, the enjoyment she received from playing cards, eating jelly donuts, seeing the first robin of spring, or playing an April Fool's joke. We shared many special times together- Thanksgiving, Mother's Day, and birthdays. My mom and Gladys had a true and lasting friendship for over 60 years- visiting each other, talking on the phone for hours, and brightening each other's days. We celebrate you our dear Gladys, my Godmother. We know you and the love of your life, Charlie, are happy to be reunited in heaven. We love you and you will live in our hearts forever. GOD BLESS.